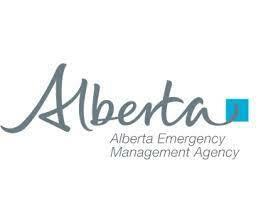 Canada Task Force 2 (CANTF2), based in Alberta, is an 'all-hazards' Disaster Response Team with a diverse capacity to respond to a variety of man-made and natural disasters. The team is composed of over 150 Rescue Specialists, Doctors, Paramedics, Structural Engineers, Communications Specialists, Canine & Technical Searchers, Logistics Specialists, and Command Staff, who volunteer their time to train and prepare so that they can respond as a highly specialized team, capable of handling a wide variety of demanding disaster and rescue situations. CANTF2's mandate is to respond with up to 70 specialized team members within 6 hours, via ground or air, and to operate 24 hours a day for up to 14 days with the specialized equipment to be fully self-sustaining. CANTF2 is a division of the Calgary Emergency Management Agency and is one of five nationally recognized Heavy Urban Search and Rescue (HUSAR) teams in Canada. The additional three teams are located in Vancouver (CANTF1), Toronto (CANTF3), and Manitoba (CANTF4) with a team in development in Montreal (CANTF6). Collectively, these five teams lead Canada's emergency response initiative in Urban Search and Rescue (USAR).